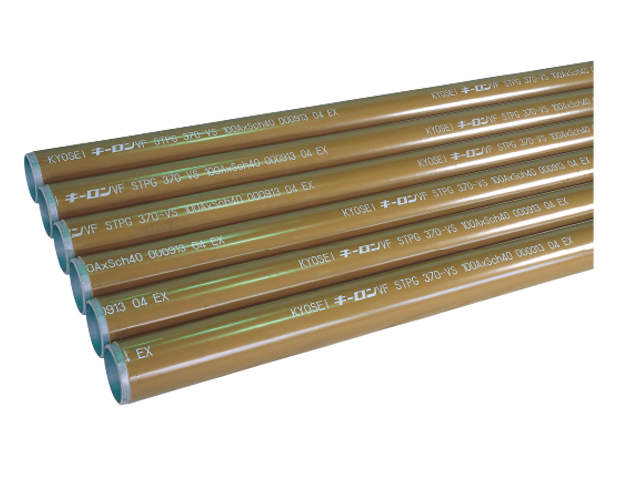 Galvanized carbon steel pipes for pressure service (JIS G 3454) with its outer surface coated with hard PVC. Piping materials with excellent corrosion and chemical resistance together with a strength compatible with the design standard for standpipe fire hydrant system. Standard product under Japan Water Steel Pipe Association (WSP041). Note: 200A can be produced to order.